Analyses and forecasts of ocean currents are invaluable in the assessment of drift during Search and Rescue (SAR) operations, by informing the design of effective search plans. Perhaps the most complex aspect of such calculations are associated with the drift of the object being searched for under the influence of the wind (or 'leeway') (Hackett et al. 2006). Objects with different shapes, such as persons wearing lifejackets, survival rafts and lifeboats, experience different leeway effects. 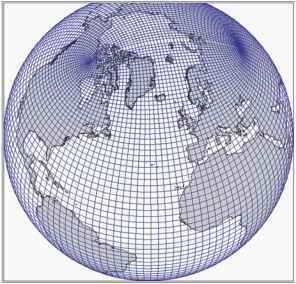 Even without the assistance of algorithms which account for leeway effects, a good approximation can often be obtained from ocean models which include currents, tidal streams and Ekman flow. In addition, knowledge of sea surface temperatures (SST) allows survival times to be estimated. Ocean modelling systems can even be used to investigate historical problems of this type, such as the search for the location of HMAS SYDNEY II, which was greatly assisted by oceanic drift calculations using BLUElink reanalysis data (Mearns 2009; Griffin 2009). The SYDNEY wreck site was located off Western Australia in April 2008, 66 years after the ship sank, with the tragic loss of her entire ship's company.